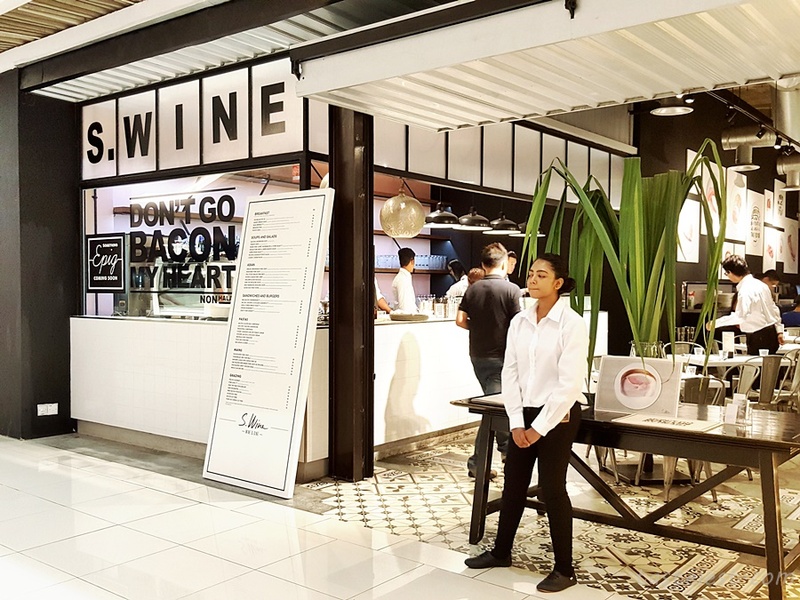 S.Wine Restaurant is a newly open restaurant at Ground Floor of Queensbay Mall, offering wide range of pork cuisine. 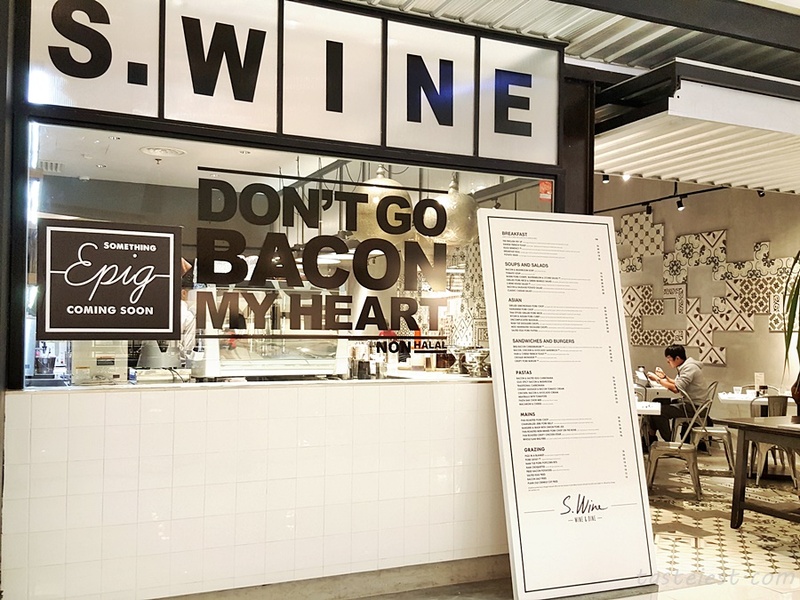 This will be my favorite restaurant as everything about pork is always my favorite. 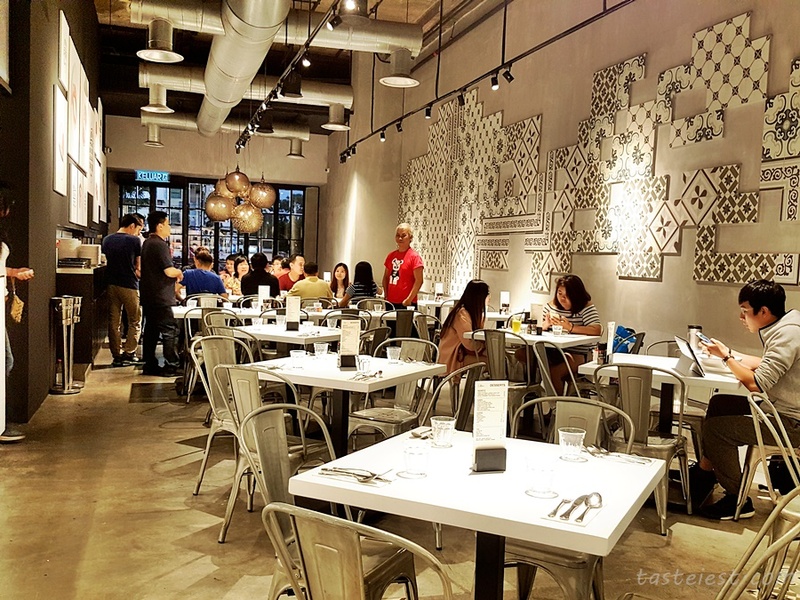 The restaurant is nicely decorated and has great visibility from external of Queensbay Mall. 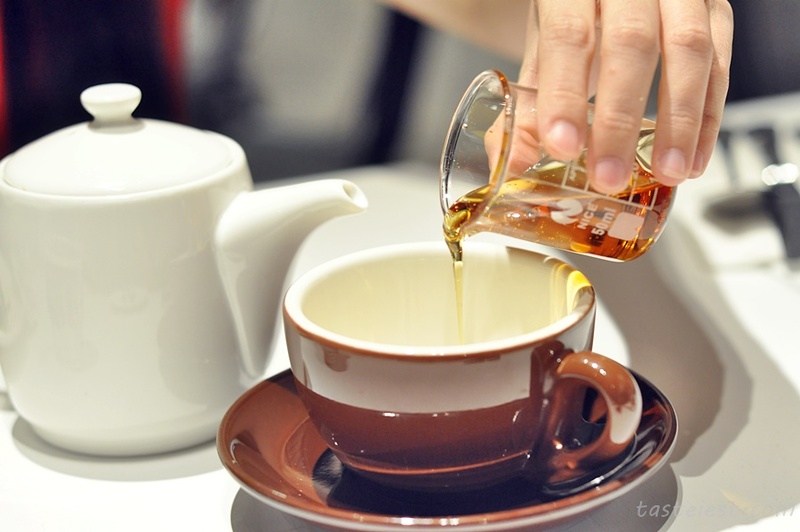 Lemon Honey RM9 with extremely generous slice of Lemon and one big cup of honey. 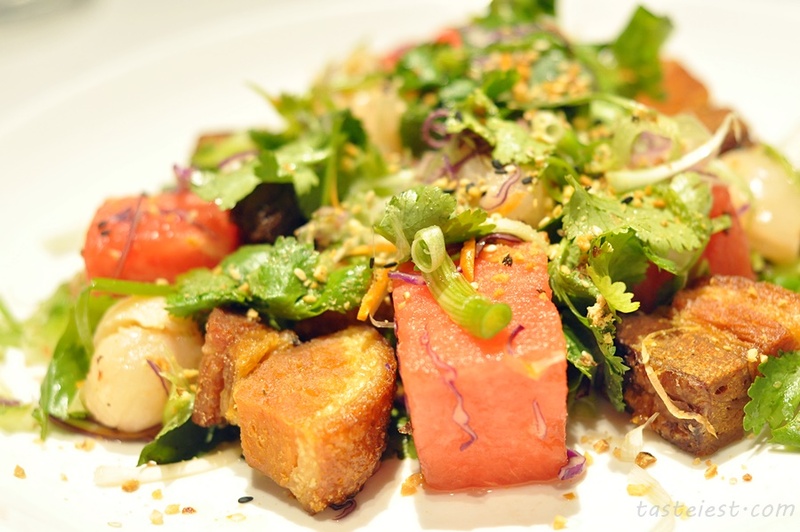 Warm Pork Confit, Watermelon & Lychee Salad with Asian Greens & SPicy Lemongrass Vinegrette RM38, big chunks of pork belly roasted to perfection served with fresh and crunchy vegetable is just awesome, sweetness of watermelon create a balanced taste between pork and vegetable. 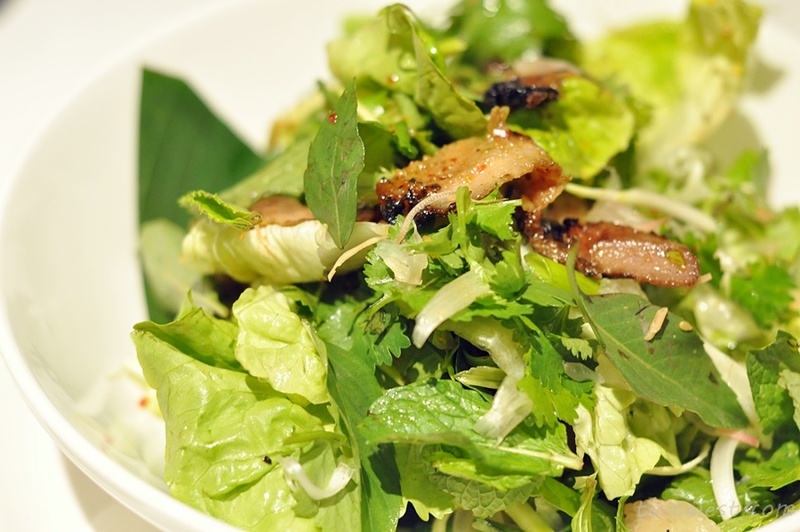 Grilled Pork Neck & Green Mango Salad with Pomelo, Asian Greens & Spicy Salty Lime Dressing RM28, pork neck are nicely marinated to flavor served with assorted fresh vegetable and one of the highlight is the basil leave which has very strong flavor and spicy salty lime dressing taste pretty good. 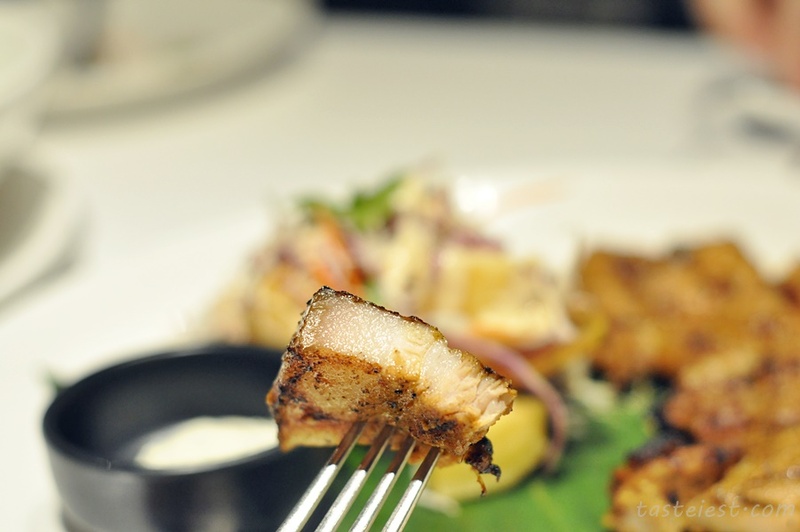 Chargrilled Jerk Pork Belly, 6 Hour Sous Vide & Served with Lychee Pineapple Salad & Green Goddess Sauce RM30. 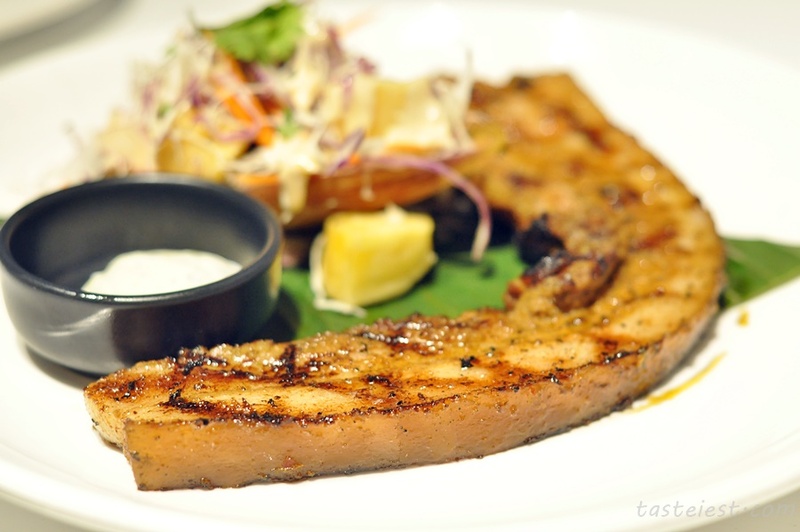 Pork belly has firm texture and caramelized on the fat layer give a bit of chewy texture, due to the high content of fat hence every single bite are fill with pork lard fragrance. 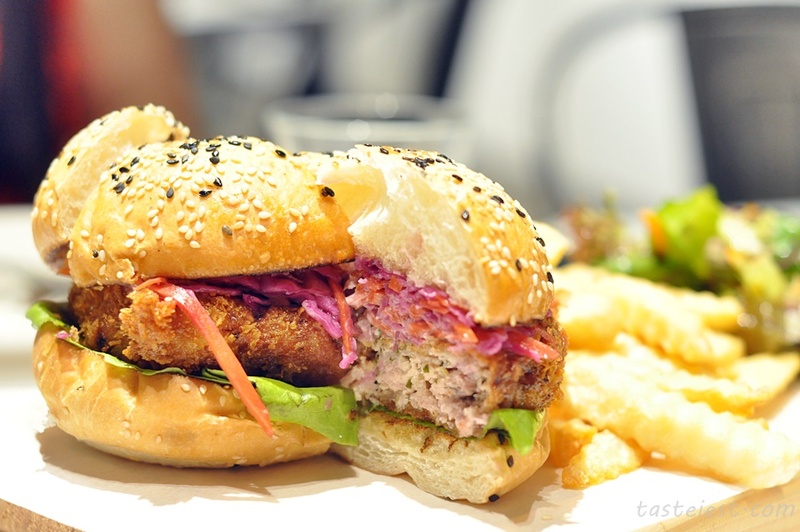 Porky Mac & Cheese Burger RM35, big portion of pork meat deep fried and serve with pickle onion. 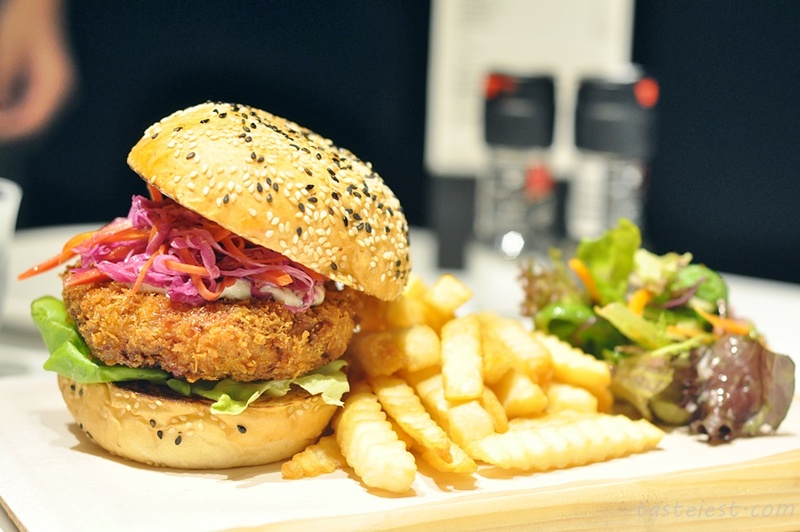 Pickle onion gave strong sourish and sweet taste to overall burger taste which make it taste good. 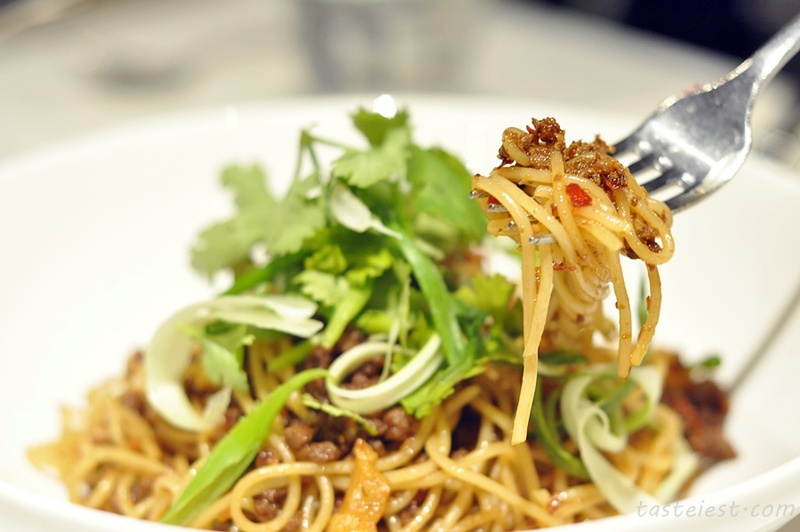 Pork Bak Chor Mee, lark soy pork mince & vinegar RM20. 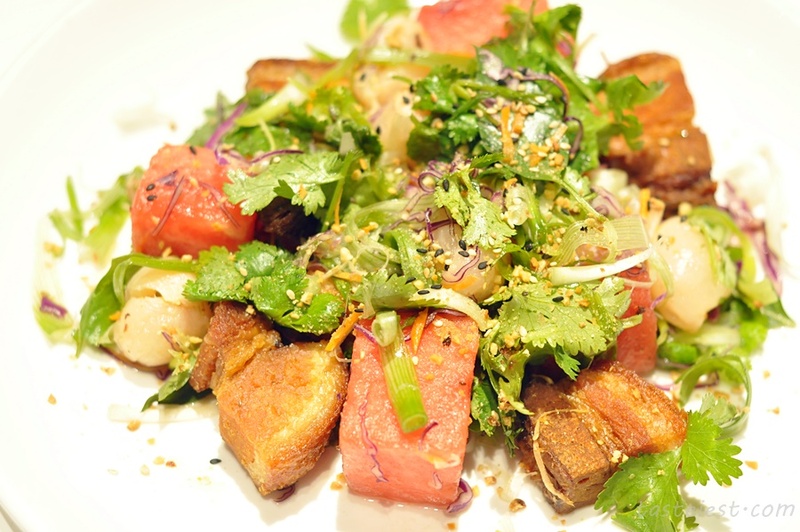 One of the best dish we had, it look to be simple but pack a punch of flavor. 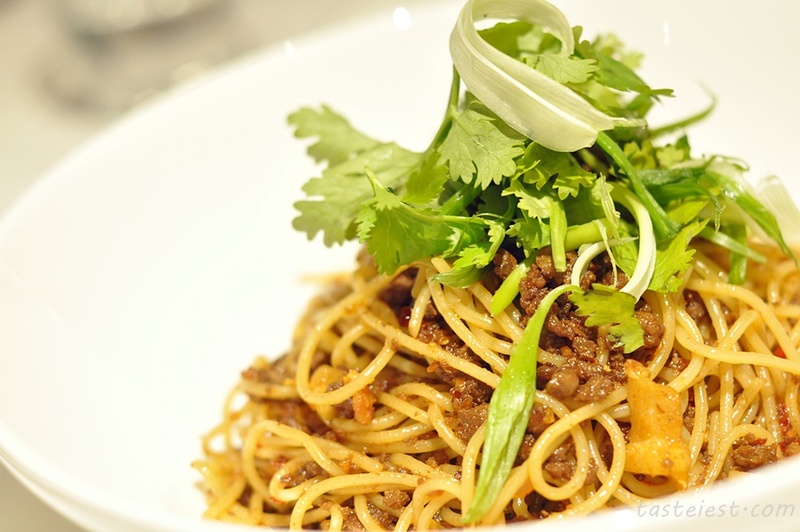 Pork mince are cook with soy sauce which has the soy sauce fragrance but what make it taste good is the present of vinegar. 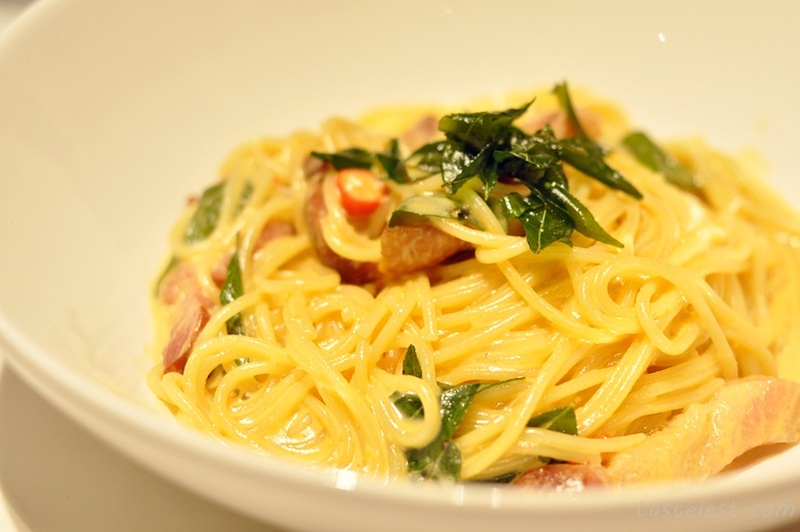 Bacon & Salted Egg Carbonara RM26, slice bacon cook with spaghetti in salted egg sauce which we feel a little bit too heavy. 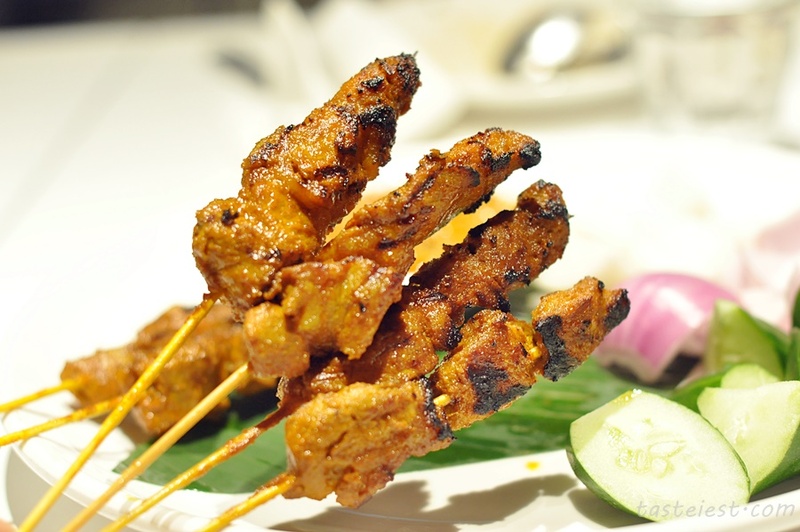 Pork Satay dipped with pinapple peanut sauce RM24, big chunks of meat on every skewer. 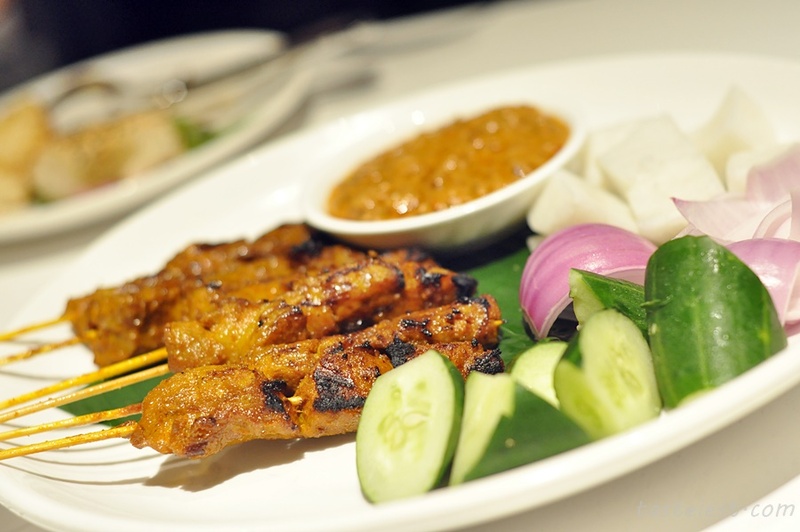 Pork meat are very soft and dipping with the pineapple peanut sauce taste good. 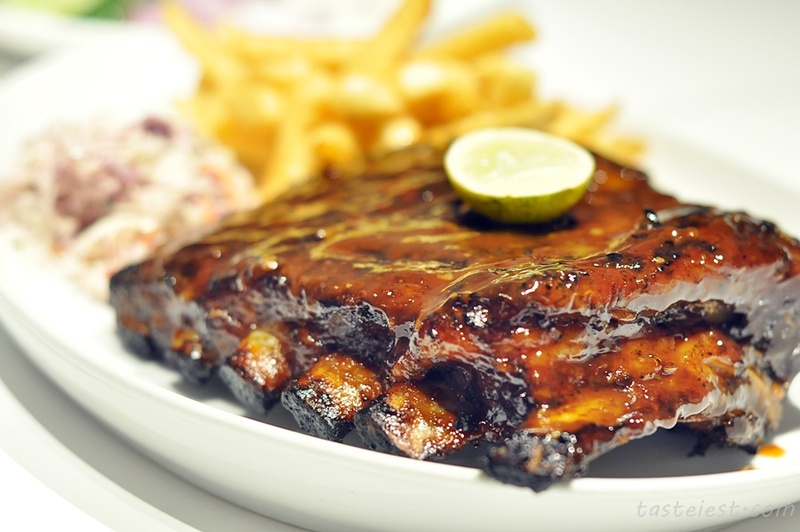 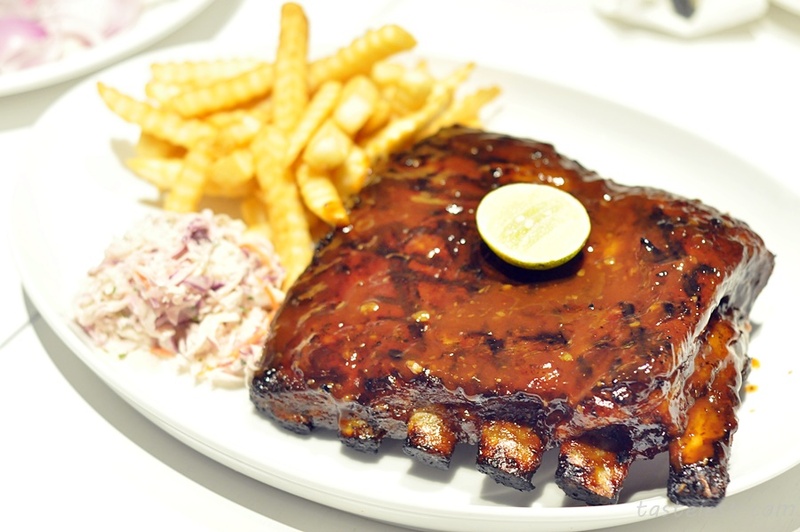 Whole Slab BBQ Ribs, slow roasted & grilled to finish, served with fries, slaw & lashings of homemade apple bbq sauce RM98. 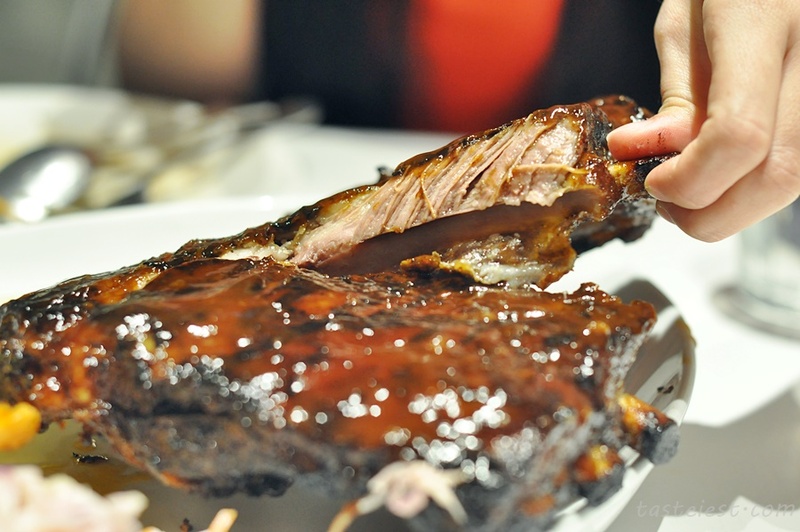 Normally ribs tends to have very thin layer of meat but we got a very thick layer of meat and it is perfectly cook to have juicy texture, meat and bone are easily separated and the bbq sauce taste so good. 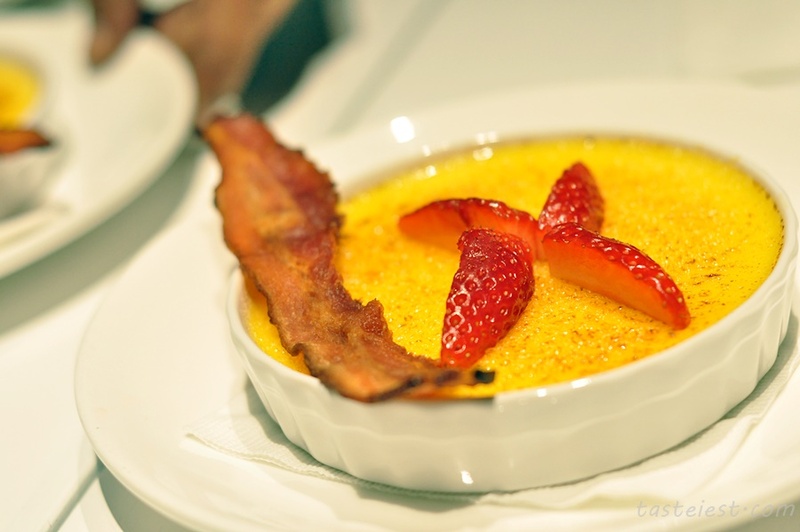 Creme Brulee with Crispy Bacon RM18, be creative? 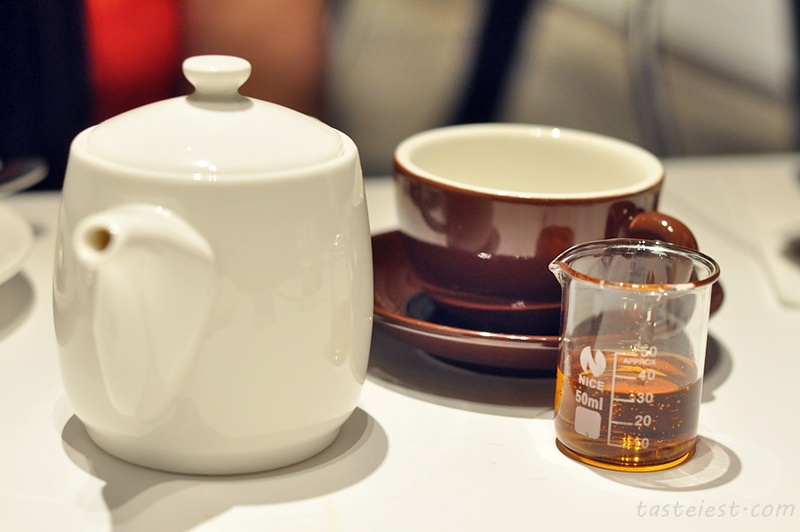 Yes, it is indeed creative and surprisingly match. 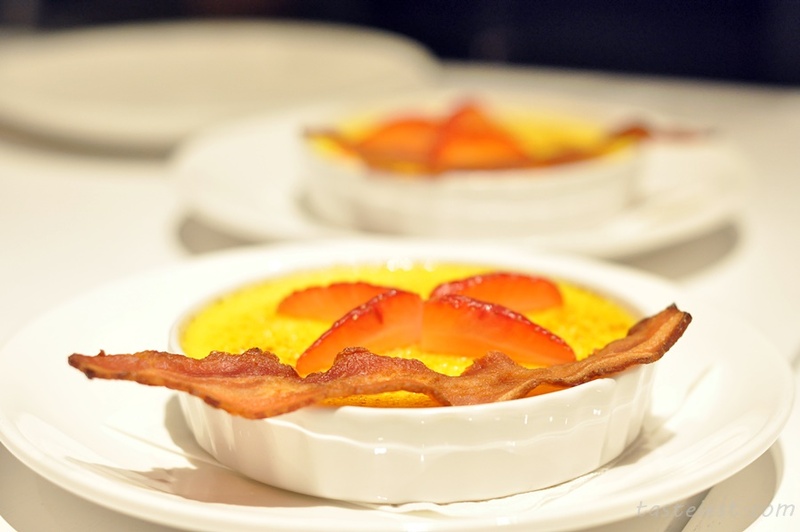 Never ever thought that Bacon can get so well with dessert, give it a try and you will fall in love with it.